As part of the Canadian Shield, Minden Hills is tucked among lakes and forests. Originally a logging town, Minden Hills turned to farming as the timber depleted. Since the end of the Second World War, Minden has increased its appeal as a tourist destination, which has largely helped to sustain the region. Minden is the largest town in the amalgamated community of Minden Hills and includes the townships of Anson, Snowdon and Lutterworth. Minden Hills is a vibrant and bustling community, which strives and encourages the passions of art, music and the natural environment. 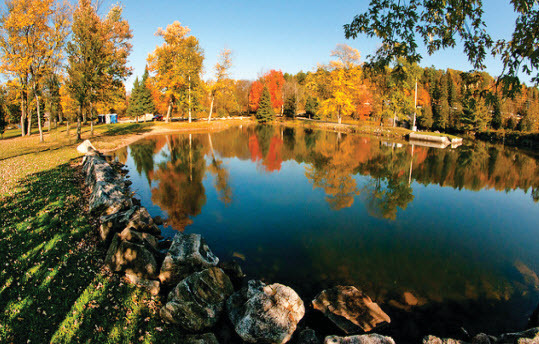 There is lots to do in this nature-filled community with trails for hiking and cross-country skiing as well as lakes for canoeing and kayaking. The Minden Hills Cultural Centre is home to a library, the Minden Hills Museum and the Agnes Jameson Gallery, all celebrating the heritage of the region. 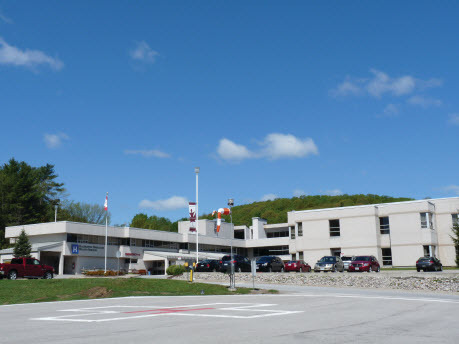 The Minden Hospital Site for HHHS has a 24/7 Emergency Department and is supported by the Haliburton Hospital Site which also has a 24/7 Emergency Department and contains a 14-bed acute care department. The Minden Medical Centre is located above the emergency room of Minden’s Hospital and provides primary care for the community. The Minden Medical Centre is supported by the Haliburton Family Health Team, which has a team of nine family physicians from Haliburton.